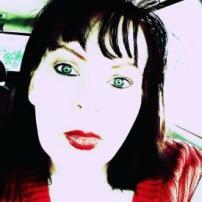 A freelance writer, ghostwriter, and social media manager since 2009, I have many interests. I write about small business management, mental health, special needs, childhood disabilities, fitness, television, as well as Texas travel and tourism. My work can be found on USA Today, Livestrong, International Bipolar Foundation, Fansided, and many others. 'Days Of Our Lives': has Nicole Walker forgiven Eric Brady? 'Days Of Our Lives' spoilers: Salem attacks Chloe, will she do the right thing? 'Days Of Our Lives': why is Arianne Zucker leaving? 'Days Of Our Lives' spoilers: Jade's dad harms Kayla?